My work is a JOURNEY in progress. 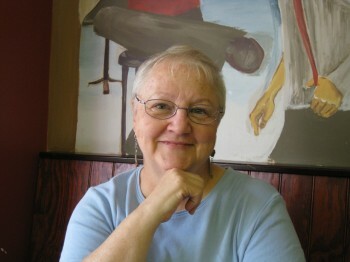 Maryellen Hains is a multi-media artist working in southwestern Michigan. She has called Kalamazoo home since 1966 when she arrived from New York to teach in the English Department of Western Michigan University. 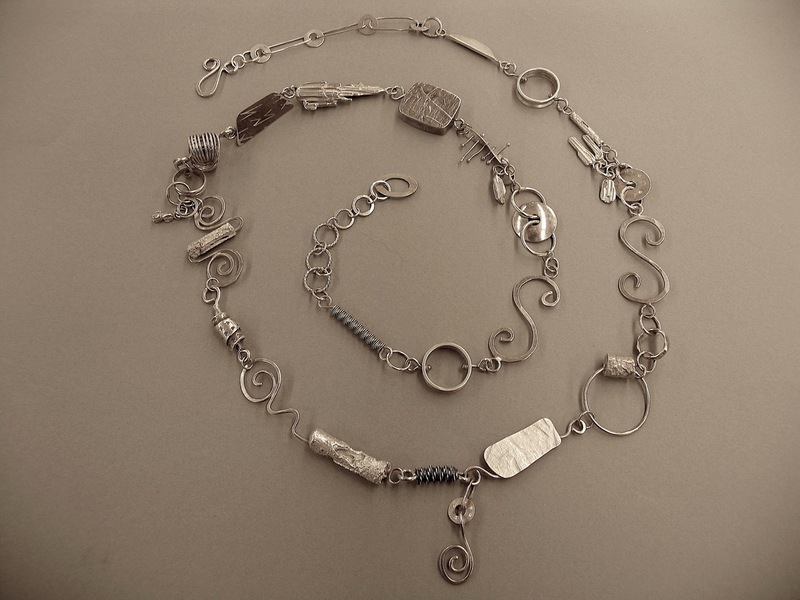 Hains is known for her eclectic style of jewelry, using a variety of materials and techniques. 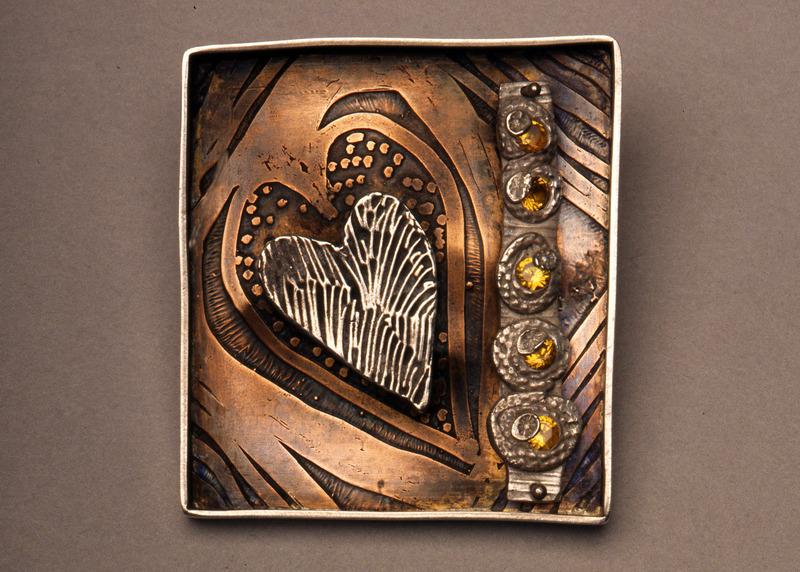 Many of her pieces are brightly colored with enamels or beads. Her images are drawn from literature, travel, dreams and the world about her. 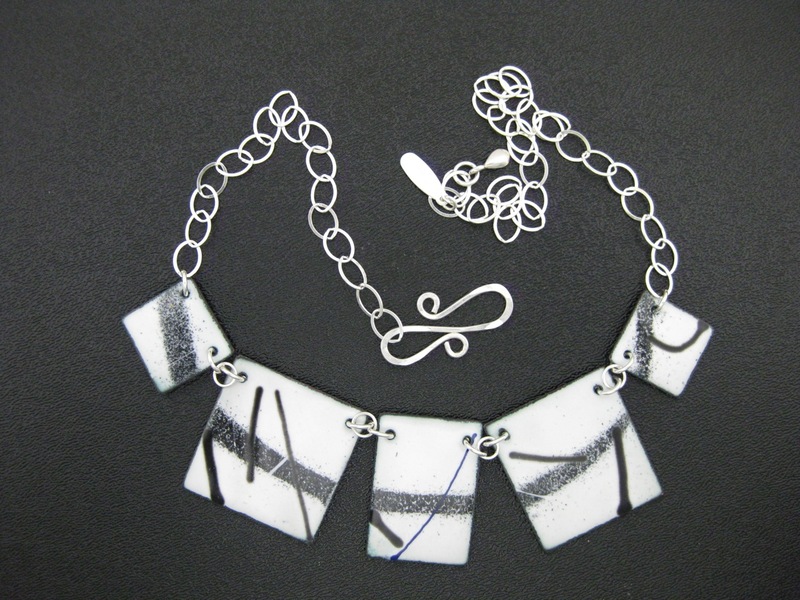 Her work can be very literal or organically/geometrically abstract. 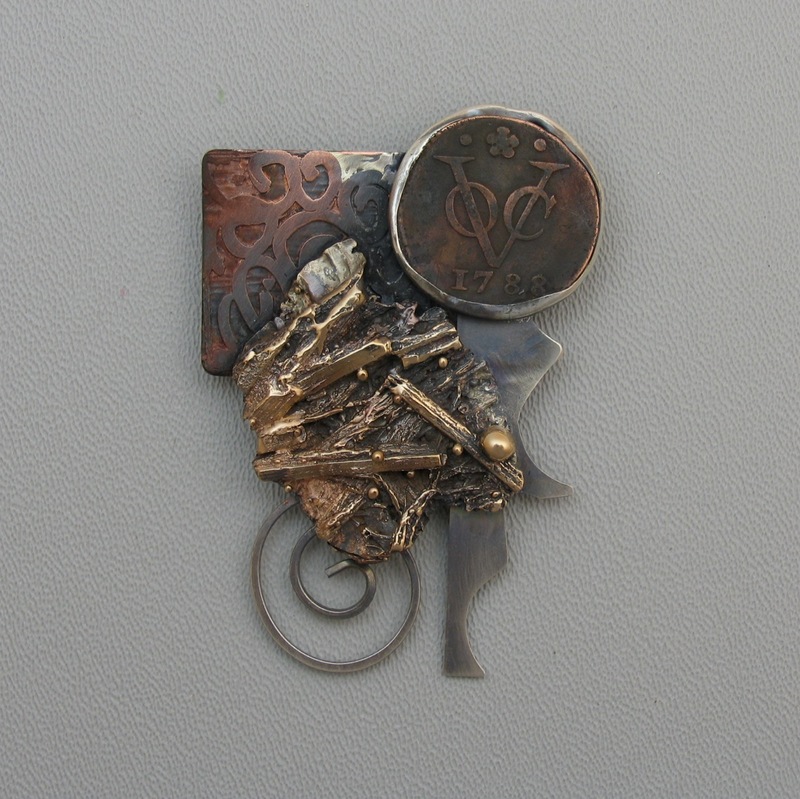 Included in her recent selections are uncut gemstones and found objects. Hains’ glass designs include narratives from children’s literature, visions of Hildegard of Bingen, homage mid-20th century artists, still lives, birds and geometric abstractions. Her fiber work includes painted silk hangings, large wall quilts and beaded elements in jewelry scale. 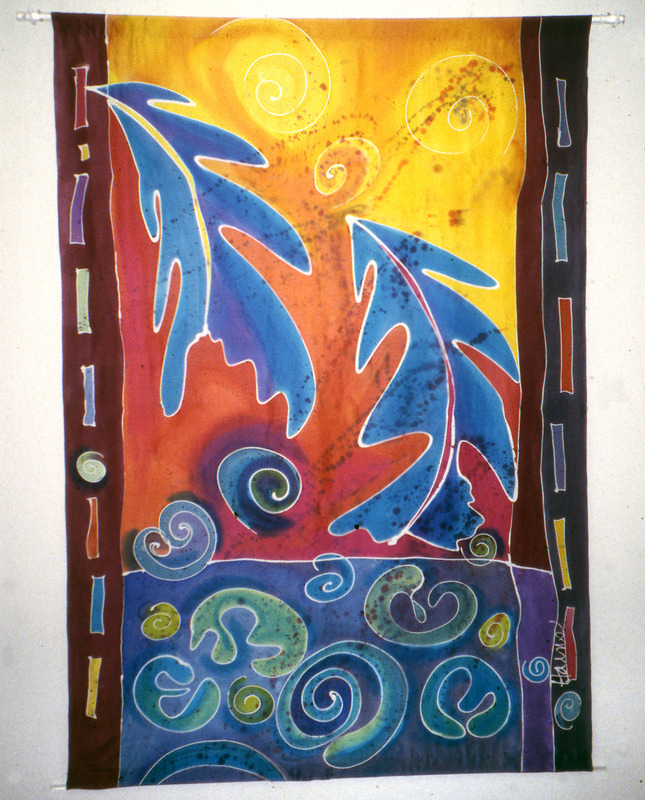 The imagery for all of Maryellen Hains’ work has developed on a continuum. She sees her work a JOURNEY in progress – where process is often more important than product. For the past few years, she has been curating themed group shows of Kalamazoo area artists.